Remember that hideous "strawberry milkshake" office your MatchGirl shared previously? Well, progress is being made in that office, gentle readers. 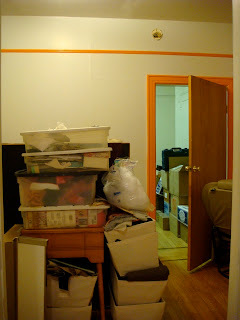 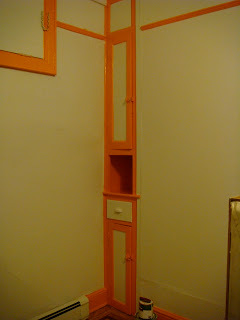 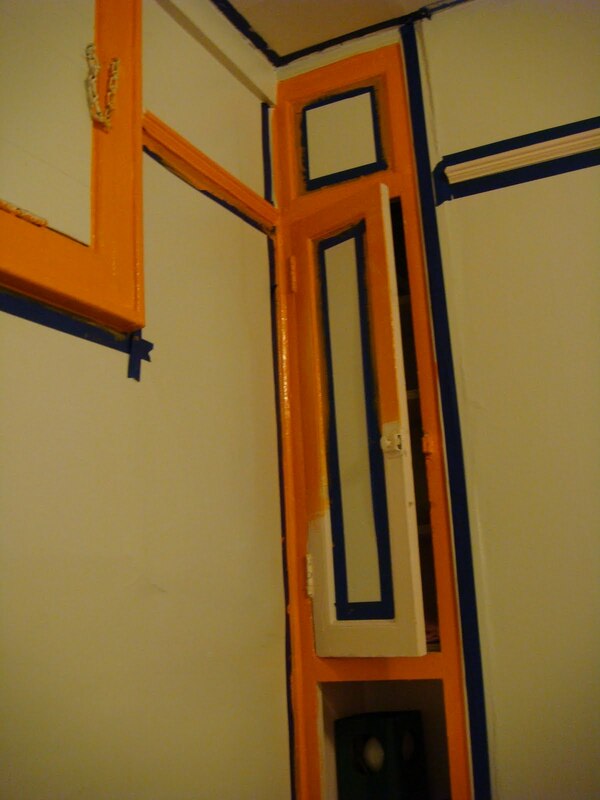 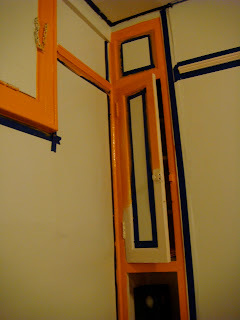 Your MatchGirl and Boyfriend have finished painting the room - a soft grey trimmed with a vibrant orange. 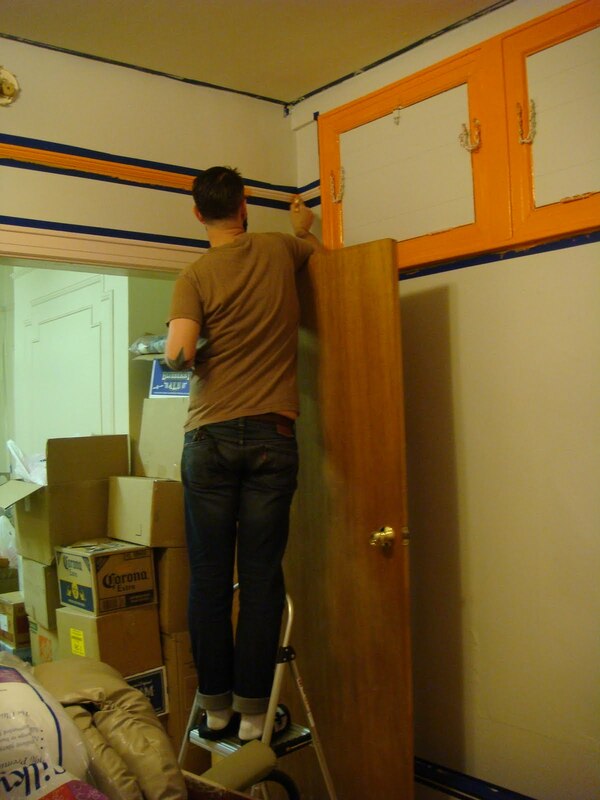 It will look amazing once we've got the walk-in closet (yes, that's right, we're building a walk-in closet into our office) finished and the furniture shifted into place.